Is your child in high school or secondary school in senior years and expect to sit for University Entrance Exam and he/she is struggling to get good marks? If your answer is Yes, then we strongly recommend your child reading below ideas and suggestions. If your child does implement them thoroughly, we are confident that his/her score will start improve and eventually become high rank in his/her class. A common complaint we hear from senior students in high school is that they never seem to have enough time to finish all of their work. They vent about how many hours they spend -late nights reviewing, weekends sacrificed to study- but no matter how hard they try, there always seems to be something else due. Let’s start by getting one thing clear: This belief is false, The problem here is not the amount of available hours, but rather how each hour is spent. No matter how diligent you are, there is a scholar out there who fits in three times the amount of work and activities you do and probably still manages to enjoy their free time more than you would imagine. Most of top students cited the ability to get work done quickly and with a minimum of wasted effort. So how do these students achieve this goal? A big part of the solution is timing – they gain efficiency by compressing work into focused bursts. work accomplished = time spent x intensity of focus. With this formula in mind, we can begin to understand why many top students actually study less than their classmates: They replace long, low-intensity stretches of work with a small number of short, high-intensity sessions. Of course, this is not the whole story behind their success; what top students actually do in these short bursts is also crucial – technique is just as important as timing. To transform into top student, you will need to gain control over your own lifestyle – and that’s often no small task. For example, you will need to spread out the intense work sessions that you have time in between to recharge. This requires basic time management skills. You are also going to have to overcome your urge to procrastinate, because scheduling is meaningless if you don’t actually work in the time you set aside. This requires self-motivation. Finally, to obtain the highest possible levels of intensity, you need to choose the right locations, times of day, and duration to study. If you aren’t careful about how you select these three factors, you can unintentionally sabotage your ability to focus. These requires a smart planning strategy. * Step 3: Choose When, Where, and How Long. * Step 4: Take Smart Notes. * Step 6: Prepare efficiently for exams. 1. Require no more than five to ten minutes of effort in a single 24 hours period. 2. 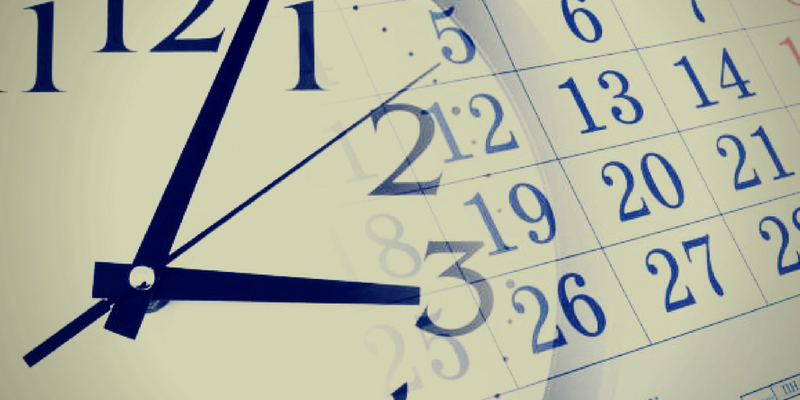 Doesn’t force an unchangeable minute-by-minute schedule on each day. 3. Help you remember, plan, and complete important tasks before the very last moment. 4. Can be quickly restarted after periods of neglect. 1. A Calendar: It doesn’t matter what type of calendar, and it is not something that you have to carry around with you. It can be MS outlook or iCal on laptop, a cheap day planner. 2. A list; Some piece of writing material that you can update throughout the day. this you do have to carry around with you, so make it something simple, like a sheet of paper ripped out of a notebook each morning. The whole system can be summarised in three easy steps. 1. Jot down to-dos and deadlines on a list whenever they arise. 2. Transfer these to-dos and deadlines to calendar every morning. 3. Plan the day each morning by labelling To-Dos with realistic time frames and moving tasks that you don’t have time for to different dates. That’s it. Simple, Isn’t it? 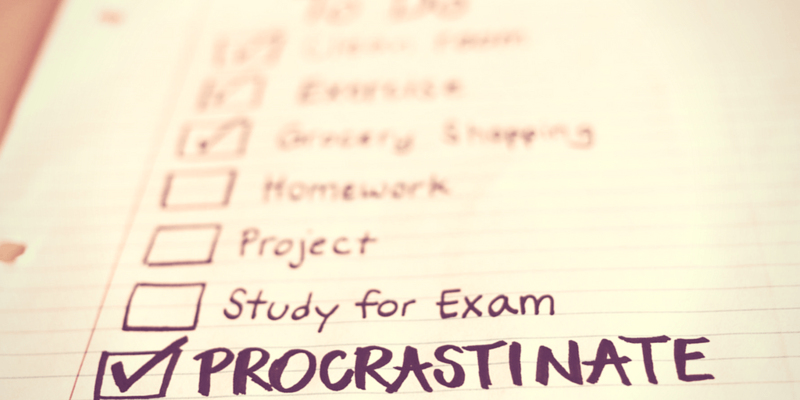 Now, let’s accomplish those tasks without procrastination. * Keep a work progress journal, and every day record what you wanted to accomplish and whether or not he succeeded. * When working, eat healthy snacks to maximise your energy. * Build work routines to make steady progress on your obligations without expending too much of your limited motivational resources. Buy a cheap spiral notebook, and keep it near your calendar. Each morning, when you work out your schedule for the day, quickly jot down in the notebook the date and the most important tasks that you are scheduled to get done. At the end of the day, if you’ve completed all of these tasks, simply jot down all completed. If you failed to complete some tasks, record this, along with a quick explanation. The system adds only an extra minute to your morning routine and requires only an extra minute each night before you go to sleep. It’s simple enough to turn into a habit. What’s amazing, however, is the journal’s immediate effect. Having to record, in ink, on paper, that you procrastinated over a task for no good reason is powerful blow to your ego. It might be easy to tell yourself a few weak excuses for putting off a tedious assignment, but when you have to record these same excuses on paper their foolishness is exposed. You can no longer get away with lame rationalisations. This is especially true if you continue to delay the same task day after day. After seeing all of those excuses pile up in your journal, there will be no escape from reality; you are being lazy! Your ego won’t like this truth, so it will kick start your motivation in an effort to avoid it. Battle Plan #2: Feed the machine. Low energy breeds procrastination. Most students know the feeling- your mind starts to feel sluggish, you being to read whole pages of text without remembering a single word, and writing coherent notes becomes a Massive task. It’s almost impossible to motivate yourself to stick to a schedule under these mental conditions. If you want to defeat procrastination, you need to provide it with the energy necessary to concentrate and win the fight. Without proper care, it will turn against you. The nutritional rules for maximising your mental energy while studying are simple. 1. Drink water constantly. Carry a water bottle with you and drink regularly. 2. Monitor your caffein intake carefully. Don’t drink more than one large caffeinated beverage in any one-hour period. 3. Treat food as a source of energy, not satisfaction. When studying, carefully choose snacks that promise a long term energy boost. Try vegetables, fruit, anything whole grain, lean proteins, peanuts, or natural granola bars. Refined carbohydrates, such as sugar and white flour will provide only a quick energy rush followed immediately by a damaging energy drain and increased appetite. Avoid these unhealthy snacks at all costs while working. 4 Don’t Skip Meals. Snacks alone are not enough to fuel your mind for long periods. Even on the busiest of days, eat regular meals. if you skip breakfast to get a jump start on studying, or put off lunch until the late afternoon so you can finish your reading, you will experience more huger than your snacks can effectively satisfy. Hunger, and the corresponding low blood sugar, will rob you of your ability to concentrate and set you up to fight against procrastination. So keep your meals regular. Your schedule varies each day. But you should be able to identify at least one hour, on each weekday, that is consistently free. In general, the morning and early afternoon are the best times to find these consistently free hours. Time in evening is much more susceptible to being hijacked by friends and family commitment and obligations. Once you have identified these protected hours, use them to do the same work each week. * Try to fit as much work as possible into the morning and afternoon, between classes and obligations. * Study in isolated locations. Here is a simple truth: Most high school students are terrible at studying. It’s not really their fault. 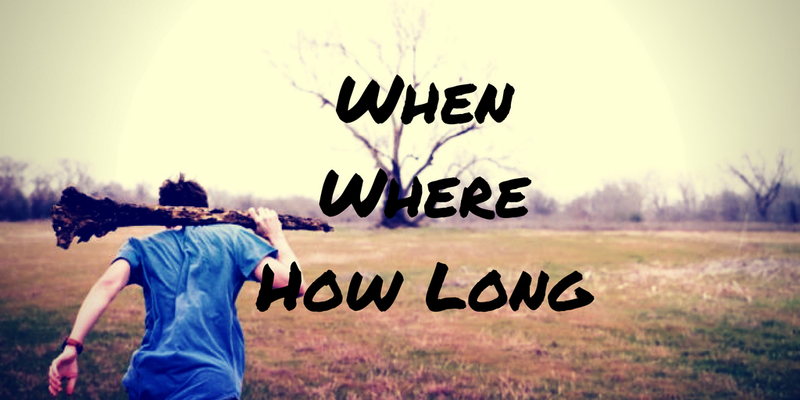 When students arrive at high school or secondary school at senior years, they are on their own. No one ever takes them aside to teach them the right way to study, so most students just make it up as they go along. The typical student studies by performing rote review – the reading and rereading of assignments and notes as manhy times as possible. The idea behind this strategy is that somehow, if the material crosses before your eyes enough times, the key ideas will stick around long enough to be later regurgitated during the exam. Here ist the problem with rote review: it’s a horrible way to study. First of all, it doesn’t work. Even though you spend a lot of time, you don’t end up actually learning the material well. Methodically trying to reread every source covered in class is an incredibly inefficient way to prepare. And because it is boring, your mind quickly fatigues, and once your mind shuts down, you can forget about synthesising complicated arguments. To successfully learn even a modest amount of information using this technique requires an absurd number of hours. The second problem with rote review is that it’s really painful. There is no way around it: Cramming is mind numbing, especially when you have a hopelessly large amount of material to review. Okay. so how can you be good at studying and improve your score? * Always go to class and try to take the best notes possible. * For nontechnical subjects, capture the big ideas by taking notes in the question/evidence/conclusion format. * For technical subjects, record as many sample problems and answers as possible. First things first: Always go to class! The importance of this rule cannot be overemphasised. It doesn’t matter if your class meets at 6:00A.M., at the top of the steepest hill on nearest mountain, on Saturday mornings – wake up, get dressed, and get to the lecture on time. If you skip class, it will take twice as long studying to make up for what you missed. This is why class attendance is so important. Not because learning is power, or it’s what your parents would want you do, but because it saves you time. If you attend class regularly, you will significantly cut down on the amount of studying required to score high grades. Don’t make this negotiable. Even if you are tired, hung over, or extremely busy, find a way to make it there. Of course, just going to class isn’t enough by itself. To reduce your study time, you have to also take good notes once you are there. Keep this in mind: Note-taking is an art form. Here are proven note-taking strategies. Make sure you have one notebook for every class and a pen that you are comfortable with. Try to write clearly. you might even consider typing summaries of your notes at the end of each week. Finally, you should also have one folder for each class. Every piece of paper you receive during a lecture – outlines, assignment descriptions, reading excepts – should be dated and put in this folder. The same goes for graded problem sets and papers. The folders will make it much easier to find materials when you need them later for review. A “nontechnical subjects” refers to any subjects outside of math, science and economics. We’re talking about English, history, and geography etc – basically anything that does n’t make frequent use of mathematical formulas. These courses are the domain of ridiculously long reading assignments. The key to doing well in these courses is straight forward: Identify the big ideas. That’s what it all comes down to. Exams in nontechnical subjects focus entirely on big ideas – they require you to explain them, contract them, and reevaluate them in the light of new evidence. If you are aware of, and understand, all of the big ideas presented in the course, these tasks are not so difficult, and strong grades will follow. As you would expect, classes are a major source of these big ideas. Identifying them, however, is not a trivial task. Teachers ramble. And they rarely start a class by clearly identifying the big ideas that will be explored. Instead, they tend to dive right in, leaving the poor student separate on his own the interesting conclusions from the digressions. You have to learn how to pick out which is which. This is hard, and as such, most students don’t take very good notes in nontechnical subjects, which has major ramifications when it comes time to study. if your notes don’t already clearly identify the big ideas, then you are going to be forced to try to figure them out from scratch while reviewing. Unless you set aside dozens of hours to prepare, you are not going to accomplish this task, and your grade on the exam becomes a crapshoot. The solution is to figure out how to take notes that clearly identify and explain all of the big ideas that are presented so that you can review them later without spending any extra time. Let’s jump right into the details of how to accomplish this goal. Most big ideas in nontechnical subjects are presented in this structure. Why? Professional academics think in terms of questions. This is how they see the world. To them, in order to find big ideas, you must first find questions and then follow a path of evidence to a corresponding conclusion. Accordingly, this is also how good teachers usually lecture. They offer up questions and then walk you through various pieces of evidence to an interesting conclusion. You should take advantage of this reality by recording all your notes in a Question/ Evidence/ Conclusion format. The basics of this approach are simple. All of the information you write down during class should be associated with a well-labeled question. each question should be paired with a well-labeled conclusion. When you are done, your notes for a given lecture should consist only of a bunch of question/conclusion pairs, each separated by points of evidence that support why the conclusion is a reasonable answer to the question. In other words, your goal is to fit all the facts and observations spewed out during class into this nice simple structure. Technical courses describe any subject that makes heavy use of mathematical formulas or computer code – for example, math, science, economics and social science. The note-taking strategies for these subjects different significantly from the strategies that we just covered for nontechnical subjects. In fact, the strategies here are actually much simpler. For technical subjects you should focus on “capturing lots of detailed explanations of problems…. the more notes the better.” In other words, you can forget about big ideas. The key to taking notes on a technical subject is to records as many sample problems as possible. When you study, these sample problems will prove to be your most important resource. Let’s take a closer look at how to do this and more importantly how to prioritise your Note-Taking. Firstly, Record the problem statement and answer. Secondly, Question the confusing. Students who do well in technical courses are those who closely follow the problems being presented and then insist on asking questions when they don’t understand a specific step. Thirdly, Record the steps of the sample problem. Finally, Annotate the steps. If you have spare time, annotate the steps with little explanations of what they accomplish or why they are important. They will prove immensely useful when you review later. * Work a little bit each day on your assignments; avoid suffering from day-before syndrome. * Read only the favoured sources on the syllabus in details. To decide how much time to spend on supplemental sources, remember the importance hierarchy. – readings that only provide context (i.e., speech transcripts, press clippings). * Take reading notes in the question/evidence/conclusion format. Most senior students depend on “day-before” assignment planning, meaning they never start an assignment until the day before it’s due. This creates many problems. Large assignments will quickly transform from potentially interesting to tedious to painful when tackled in one monolithic, last minute chunk of time. 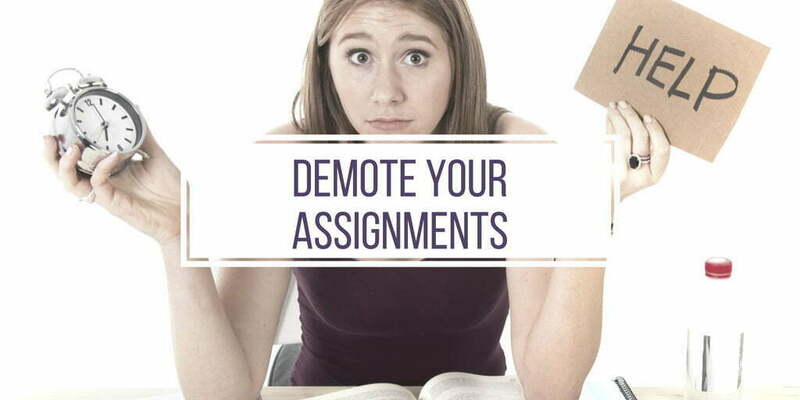 And, if two or more assignments happen to be due on the same day (which will happen often), you will be forced into a frenzied work marathon that will produce lacklustre results at best. Smart students avoid these issues by working constantly on assignments, in small chunks, every day. For example, if you have a problem set due every week, complete one problem a day, one hour at a time. Don’t spend five hours the night before. The same goes for reading assignments – knock off a chapter a day, and you will never find yourself spending a lonely night with a textbook and non-stop strong coffees. Reading can get overwhelming, and very few people we know do it all – that could drive students insane! It is impossible to read everything assigned to you in every class. Therefore, Don’t do all of your reading. The hard part, of course, is deciding what reading is important and what can be skipped. A lot of this decision-making ability comes from practice – the more classes you take, the better you will become at identifying the exact level of importance of every assignment. There are, however, some general tips that can help you pick up this talent sooner rather than later. The techniques that follow are used by top students to systematically identify which readings to spend time on and which to ignore. + readings that only provide context (i.e., speech transcripts, press clippings). Assignments at the top of this hierarchy requires at least enough attention to allow you to identify the argument being made. They don’t have to be read as carefully as a favoured source, but you should spend enough time with them to gain a good understanding of them. Assignments in the middle of the hierarchy merit skimming, since they introduce facts that can clarify relevant arguments. A quick pass through should highlight enough of these facts to be useful, and you certainly on’t need to carefully review every detail. Assignments at the bottom can usually be skipped, since teachers will discuss what’s important about them during class. Make sure, therefore, that you bring these readings to class and take careful notes. First, carefully read the beginning of the assignment. Look for the question being answered by the author. Note that this is different than a thesis statement. For example, “Why did the Jeffrey’s plan fail? is a question. “The Jeffrey’s plan failed because of resistance.” is a thesis. In a reading assignment, the question can usually be found in the title or perhaps explained in the first few sentences. Record this in your notes, and label it clearly. Next, look for the author’s conculsion (the thesis statement). This is perhaps the most dfficult part, since academics are known to propose complicated answers to their questions, especially when writing. So it may take some serious consideration to figure out what’s being suggested. Search the first few paragraphs; this is typically where the conculsion is hidden. Also check the final few paragraphs. Often a thesis is proposed at the beginning of an article but then refined slightly at the end once all of the supporting evidence has been presented. When you feel confident in your understanding of the conclusion, record it carefully in your notes. Now comes the easy part: Skim the entire reading. Don’t take notes yet. Instead, use a pencil to make checkmarks next to important paragraphs that jump out at you. Because you are reading fast, you may miss some points-don’t worry. Just get the gist of the author’s message and how he is supporting that message with evidence, then move on. You don’t need to capture everything. Your goal is simply to mark a few solid examples that justify the conclusion as the answer to the question. Once you have skimmed through the entire reading, go back and find your check marks. For each mark, record in your notes a concise summary of the corresponding point. Label each point in your notes with the page number where you found it. This shouldn’t take long. Don’t worry about being formal or grammatically correct. Just dump these pieces of evidence into your notes. When you are done, your notes should contain a clearly labeled question followed by a half-dozen or so bullet pointed pieces of evidence, then a clearly labeled conclusion. And that’s it! A typical article or book chapter should fill, at most, a page of single-spaced notes and take no longer than twenty to thirty minutes to complete. If it takes you longer, then you are likely reading too slowly when you make your check marks. Don’t be afraid to move quickly – if you understand the question and the conclusion, all you need is a sampling of the evidence that connects the two. * Cluster your notes for nontechnical subjects. * Build mega-problem sets for technical subjects. * Embrace the quiz-and-recall method. It’s the single most efficient way to study. 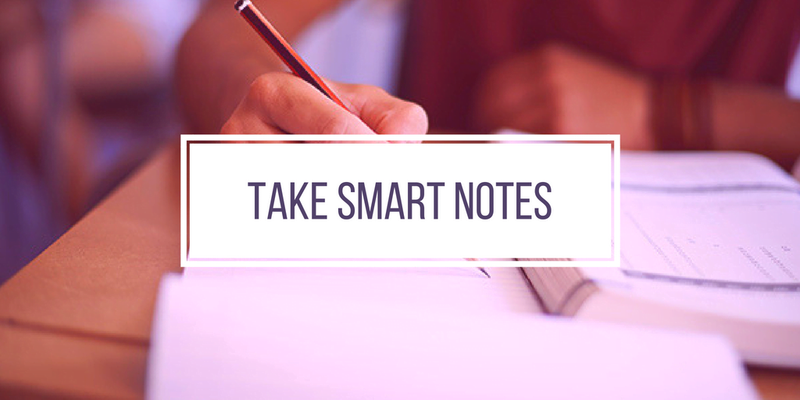 If you have been putting Step #1 to Step #5 into practice, taking smart notes and handling assignments effectly, studying should not be a big deal for you. In fact, when faced with a looming quiz or exam, you have to do only two things. First, organise your material intelligently. Second, perform a targeted review of this material. In this Step #6, we will cover how to accomplish the former. Don’t worry- organising your material properly is not a difficult task, but it is important that you do it right. Many students neglect this step, eager to dive right into the review, but by doing so they condemn themselves to hours of unnecessary work. You don’t want to be like these students. Pay attention to the advice that follows and you will experience a significant reduction to the difficulty of your study experience. 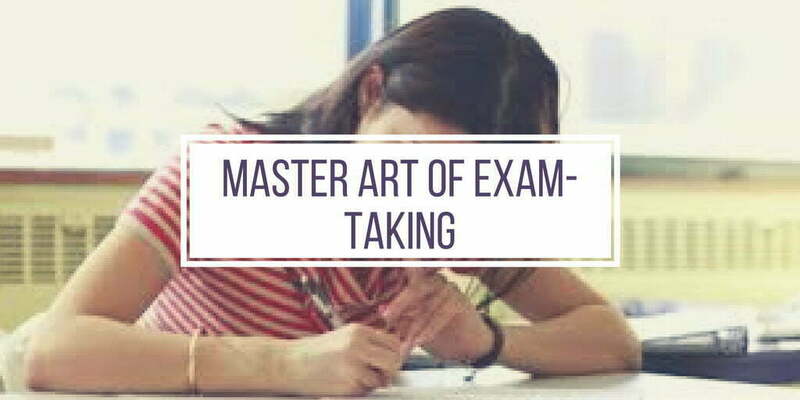 Before you can conduct any meaningful studying, you must first define the scope of the exam. * Which class and reading assignments (or problem sets) are fair game? * What type of questions will there be, and how many of each? * Is the exam open note or open book? * For a technical subject, will formulas be provided or do they need to be memorised? * How much time will be available? Does the teacher expect the exam to be easy to complete during the test period? Get above information as early as possible – it’s curcial to your success. For a nontechnical subjects, once you find out which subjects and reading assignments are fair game for the exam, print out the corresponding notes that you have typed up or gather the pages you’ve written on (don’t be afraid to deconstruct your notebook). Cluster these pages into piles, separated by general topic. Clearly label each of these piles with its topic and fasten them together with a paper clip so you can easily transport them without mixing up the pages. For simplicity, we will refer to these topic-themed piles as “chapters,” Your final study guide, therefore, should contain a chapter, consisting of reading and lecture notes, for each general topic that might be covered on the exam. 1. Match the class to the problem set that covers the same material. 2. Copy sample problems from these class notes onto a blank sheet of paper. You don’t have to copy the steps or the answers, just the questions. 3. Label the blank sheet of paper with the date of the class. This will help you later figure out where these problems came from (and more important, where their answers can be found). 4. Fasten this sheet with a paper clip to the problem set you matched it to in step one. In other words, this process transforms your problem sets into mega-problem sets by adding extra problems drawn from your class notes. Pretty simple. Finally, you must augment your mega-problem sets with technical explanation questions. What are these? For every major topic covered in a particular mega-problem set, jot down a question that asks you to explain the basics of the topic. It’s important that you add these technical explanation questions in addition to your regular sample problems, since they will reveal whether or not you understand the underlying concepts or if you have just memorised the steps for some particular problems. One last note: if your teacher makes a practice exam available, then print out a copy of it and store it with your mega-problem sets. For technical subjects, sample exams are a great reveal tool, and you will definitely want to have them handy when it comes time to study. Whether it is philosophy or calculus, the most effective way to imprint a concept is to first review it and then try to explain it, unaided, in your own words. If you can close your eyes and articulate an argument from scratch, or stare at a blank sheet of paper and reproduce a solution without a mistake, then you have fully imprinted that concept. it’s not going anywhere. The same is not true if you merely read over something. Passively reviewing a concept is not the same as actively producing it. Most students make the mistake of relying only on passive review; they read and reread their notes and assignments, and assume that the more they read, the more they will remember. Simply reading it over doesn’t work. You have to make the extra effort to get it into your head. To apply the quiz-and-recall method to nontechnical subject material, your first need to construct a practice quiz for each chapter in your study guide. Fortunately, the questions for these quizzes already exist, since, if you have followed the advice from past Steps, all of your notes should be in a question/evidence/conclusion format. Therefore, the quiz for any given chapter can simply contain all of the questions from the notes you took for that chapter. You can be flexible here. Your goal is simply to produce practice quizzes that cover all the material contained in each corresponding chapter. If you can answer all the questions, then you understand all the big ideas. Once you have built your practice quizzes, go through them one by one. For each question, try to articulate the matching conclusion and provide some highlights from the supporting evidence. you don’t have to reproduce the material in your notes word for word, but you do need a reasonable summary of the big idea and its support. Here’s the important part: Don’t do this only in your head! If you are in a private location, say your answers out loud using complete sentences. If this helps, act as if you are giving a lecture on the subject. Get your blood pumping. Put some music on in the background. Make it an event. your study guide was designed to be portable, so it shouldn’t be too difficult to find a place to be alone. For this crucial step, think beyond the library. It can be nature trail on campus or even on the treadmill. Studying doesn’t have to involve long hours sitting at a desk. The quiz-and-recall method is easily applied to technical subjects. You already constructed your mega-problem sets: now you simply need to solve them. Start with the technical explanation questions-thinking about the general concepts first will make it easier to solve the specific sample problems that follow. As with non-technical subjects, try to provide an articulate answer for each problem and if possible, give your explanation out loud, as if lecturing to a class. Otherwise, write out your answers clearly. Don’t skip any important details. Once your are done with the technical explanation questions, move on to the sample problems. Try to answer each. Again, don’t do this in your head. As before, check mark the questions that give you trouble. Review the solutions for these questions. Take a break. Then repeat the process, except this time try to answer only the questions you marked on the previous pass. Follow this method until you finish a round with no checked problems. When this happens, you are done. * Look over the whole test first. * Figure out how much time you have to spend on each question (leaving a 10 minute cushion at the end). * Write out a mini-outline before tackling an essay question. * Use any and all leftover time to check and recheck your work. The final step of the A+ process is actually taking the test. many students incorrectly believe that preparation is the only thing that counts. To them, taking a test is a simple matter of showing off what they know. This type of thinking is risky. Why? Even the most prepared student can bomb an exam due to poor test-taking skills. The potential pitfalls during an exam are numerous, but the most common are: (1) running out of time and (2) providing answers that, although detailed, don’t fully answer all parts of the question being asked. In fact, these two dangers work together, making them particularly hard to conquer. That is, if you try to avoid spending too much time on questions, then you are likely to provide incomplete answers. On the other hand, if you try to provide detailed answers, then you are likely to run out of time. The situation sounds dire, but it is not. With the right strategy, you can eliminate these fears and ensure that your grade properly reflects your level of preparation. 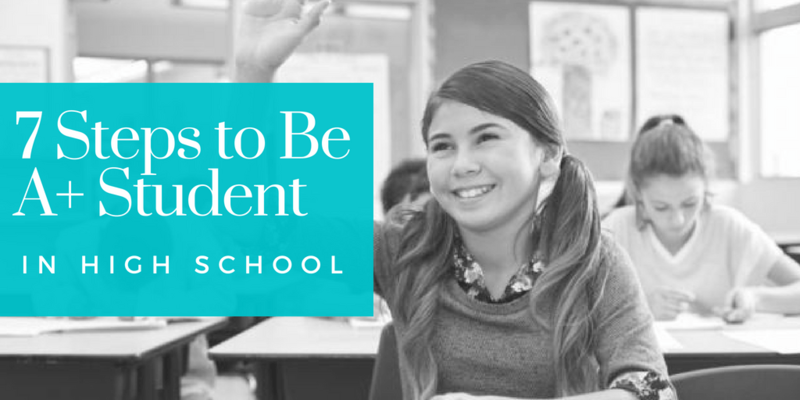 Top students treat the test-taking process with great respect, and this attention is reflected in their consistently high grades. Their advice has been culled into five key strategies. For any exam, your first step should always be to review all of the questions. if it’s an essay exam or a technical exam with a relatively small number of questions, then read each prompt carefully. if the exam is multiple choice or contains many questions, skim through quickly and get a feel for which topics are covered. At any given point during an exam, you should know the maximum number of minutes you have to spend on the current question before moving on to the next. This strategy goes a long way forward avoiding time trouble; it keeps your attention focused and prevents you from spending too much time on any particular question. The key to maintaining this keen awareness is to build a time budget. First, take the time allotted for the exam and subtract 10 minutes. Next, divide this amount by the number of questions. The result is how long you have to spend on each prompt. What should you do with this information? For an exam with a small number of questions, mark right on the test pages the time when you should begin and finish each one. 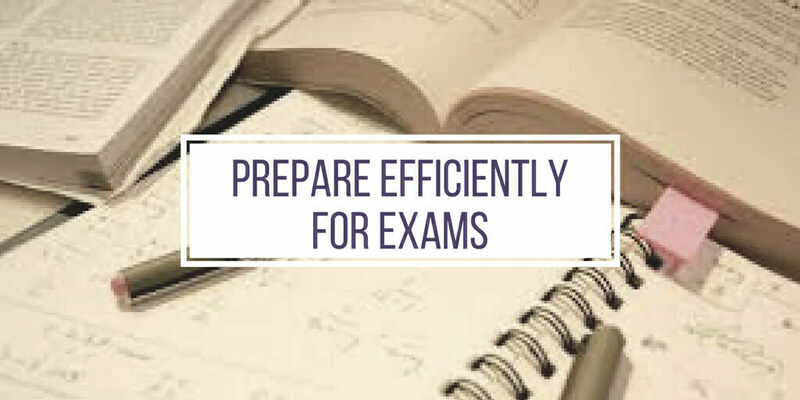 For an exam with many questions, divide the exam into equal fourths, then jot down the time you should begin and end each section. In both cases, these recorded times will keep you updated on how close your current progress matches your predetermined schedule. Why do we subtract 10 minutes in the first step? This provides a safety buffer. you want a few extra minutes available here and there to be able to double check your answers when you are finished, or go back and add more insights to questions on which you were rushed. Top students almost never answer exam questions in the order that they are presented. Years of informal experimentation by successful students have demonstrated that the most effective way to tackle an exam is to answer the easiest questions first, and this is exactly what you should do. Start with the most approachable questions before moving on to the more forbidding. The advantage of this approach is that it first focuses your energy on the questions you know the most about, ensuring that you get maximum points on these. It also gives you a better chance of conquering the more difficult ones. When you come across something hard early on in the exam, your natural instinct is to panic. You have so many more questions to finish, and you can almost feel the minutes ticking away as you stare blankly at this one particular roadblock. It can be tough to get your focus back to wring out as many points as possible from the easier questions that follow. If, instead, you tackle this same roadblock at the end of exam, you will find that the situation seems less dire. You have answered everything else, so all that’s left to do is working out this final puzzler. More often that not, you will find the mental block diminished. Without the pressure of other questions looming in the background, you can take a more relaxed approach. You might not know the best answer, but you can spend some time to devise a reasonable answer. The result is the strongest possible outcome given your state of preparation. When facing an essay question, don’t just start writing and see what happens. This approach leads to rambling answers and missed concepts. Instead, your first step should be to jot down a quick outline. This might seem like a waste of time, but in truth it can be invaluable. First, re-read the question carefully. Usually, you can isolate three or four mini-questions from a single essay question. Underline each of these mini-questions; this will help you flesh out your outline and avoid an incomplete answer. Then, outline on paper the way that you will use what you know to answer these mini-questions. To do so, use the margin of the exam to jot down all of the points you can recall that are relevant to the question. record only a few key words for each point to save time and space. Next, go back and check the question parts you underlined in the first step. Make sure each is adequately addressed by the points you just noted in the margin. When you are sure that you have identified all the relevant information for the essay, number these points in the order that you want to present them. Only now should you begin writing your essay. Follow your outline, and the writing will proceed smoothly. you should be able to quickly produce a solid presponse that draws on everything you reviewed and addresses all parts of the question asked. If you have extra time at the end of the exam, then go back and check your work. You will be surprised by how many times this final review turns up a mistake in a technical problem or an important concept that you forgot to mention in an essay. It is tempting to relax after finishing your exam, perhaps walking proudly to the front of the classroom and handing it in before anyone else. But aside from the wistful stares of your classmates, this strategy is ill conceived. Double checking your work up to the last minute can make the difference between an above-average student and an academic star. That’s it. If you follow all of strategies and tactics mentioned above, you will not just study harder but will study smarter than most of classmates and your grade will eventually soar! Best of Luck with your School Years..